I’m excited to finally share this tutorial today because it’s one that’s been on my mind calendar (and google calendar) for quite some time but I never found the time to make. 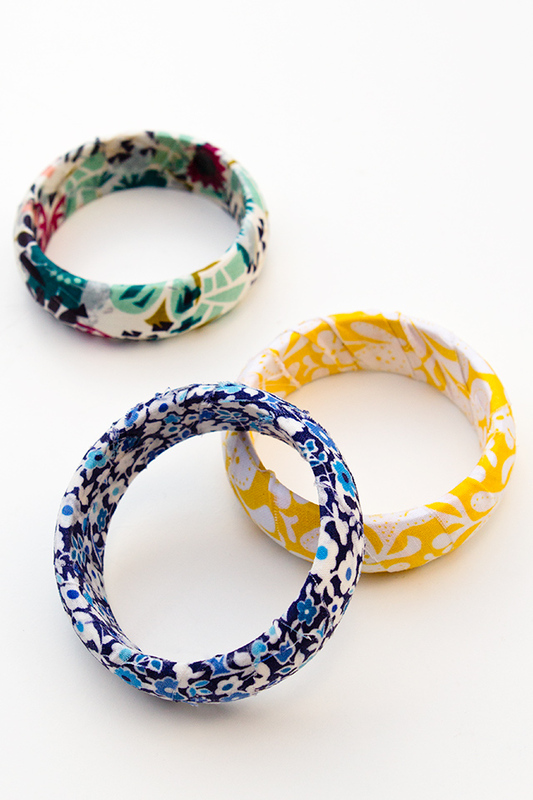 So today I’m sharing just how easy it is to make some cute fabric wrapped bangles that are just perfect for spring. 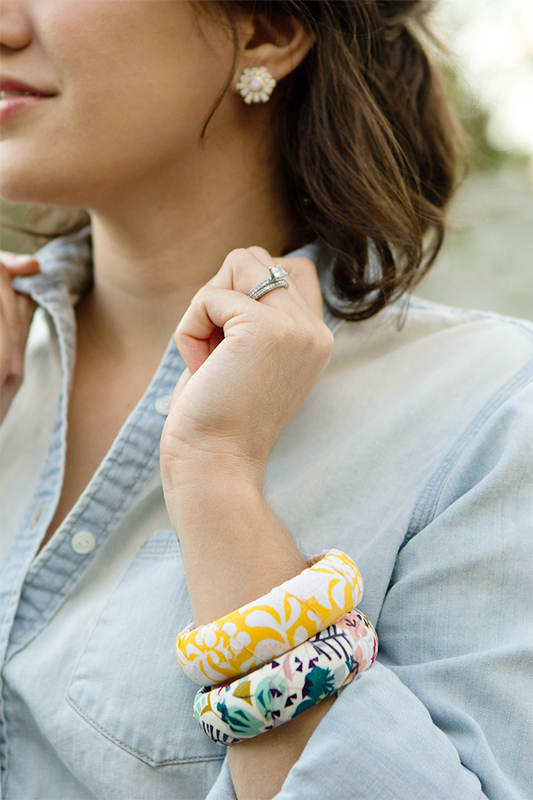 It’s a great way to use up fabric scraps and create custom accessories. Watch the video below for the full tutorial! Once your bracelets are dry, you may notice that they are rough and somewhat sharp in a few areas. This can easily be fixed by using fine sand paper to smooth out the surface. Be sure to subscribe to my YouTube channel so you don’t miss the next video tutorial! Nice idea, these look great! Does it have to be cotton fabric or can it be any kind of fabric? A nice way to personalise an outfit, thanks for sharing this! I only tried cotton and had great luck with it though I think a rayon blend would work well too. If you want to try another fabric, I’d recommend gluing a small piece to the inside of the bracelet with the Mod Podge and see how it dries first. Cute, spunky, fun and EASY to make! Thanks for taking the time to do this tutorial! I’m a new fan AND I’ll try this for my next ‘crafting’ with my female family members – we have LOADS of DIY’ers! Thank you for sharing this ???? how do you keep your fabric from unraveling and getting terrible strings? When you paint the Mod Podge all over the bracelet it dries hard and creates a seal around the entire bracelet, including the fabric edges, and prevents it from fraying. Very fashionable and easy to make. I am sure the fabric exchange has so many choices of fabric for this kind of project. Hi Claudette! You can find the bangles on Amazon.